On June 25th, Te Papa hosted its annual Senior Science Careers Day. College students from several area schools came to get a glimpse of what it’s like to be a scientist working at Te Papa. Two of us from the Botany team participated in the event: Carlos Lehnebach (Curator) and Heidi Meudt (Research Scientist). We are both plant systematists, which means we name, describe and identify plant species and study their relationships with other species. Curator of Botany Carlos Lehnebach introducing the activity to the Senior Science Careers Day students. Photo © Te Papa. On Senior Science Careers Day, we thought it would be fun to let the students practice their systematic skills by taking part in a hands-on activity that we called “Supermarket Systematics”. We bought multiple sets of twelve fruits and vegetables from a local supermarket. 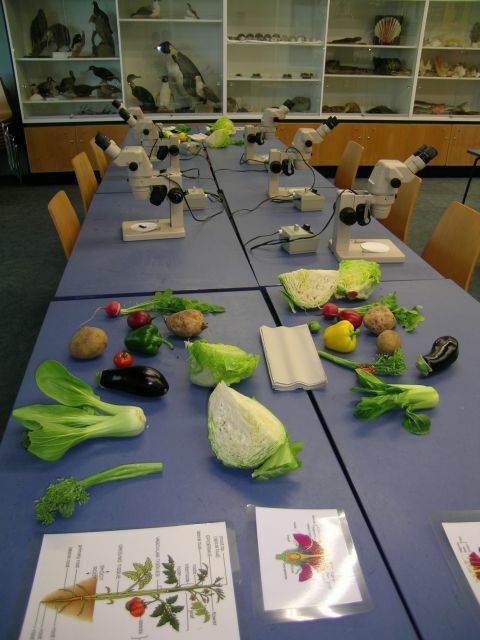 The set-up for the Supermarket Systematics exercise. Could you classify these twelve fruits and vegetables into two main plant families? Photo © Te Papa. The students’ task was to classify them into two plant families based on morphological characteristics. Students worked together in groups and used dissecting microscopes to compare seeds, fruits, and leaves of the fruits and vegetables. 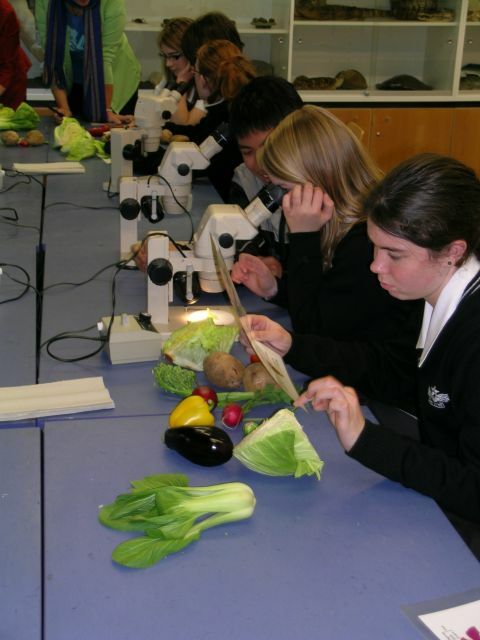 The budding botanists from Hutt Valley High School classifying the fruits and vegetables. Photo © Te Papa. They also had several photos that showed other parts of the plants such as flowers and habit, which provided further clues as to which plant family each fruit or vegetable belonged to. Some photos of additional information each group could use during the activity. Photo © Te Papa. We spent time talking with the groups and asking them questions about their observations. 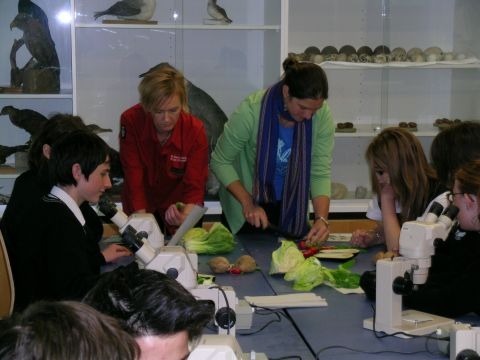 Botany Research Scientist Heidi Meudt, together with Senior Education Programme Developer Emma Best, helping the Hutt Valley High students with a dissection. Photo © Te Papa. Most groups did a great job as supermarket systematists! They were able to correctly classify ten of the items into two economically important plant families. 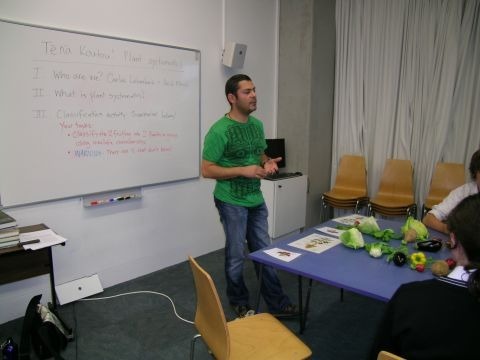 Some also correctly identified the two vegetables that did not belong to either family, which were kumara (sweet potato) and lettuce. Although kumara look very similar to potatoes, they are in a different family (Convolvulaceae) and the students confirmed this by looking at photos of other characteristics of each plant. In the same way, lettuce looks superficially similar to cabbage, but is in the daisy family (Asteraceae). 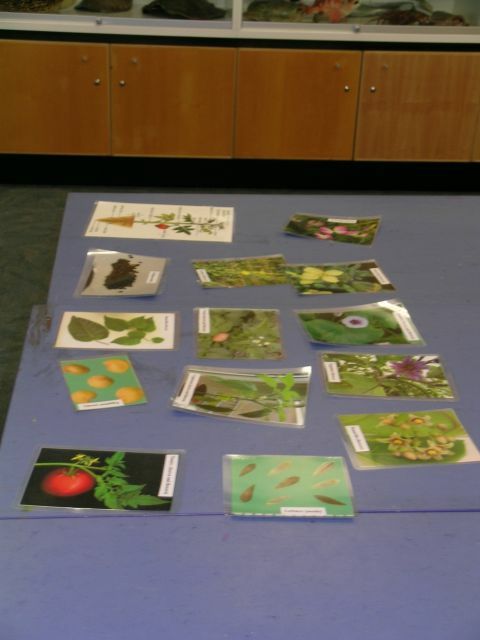 We hope the students had as much fun as we did doing the Supermarket Systematics activity, and learned a bit about plant systematics and research at Te Papa too!